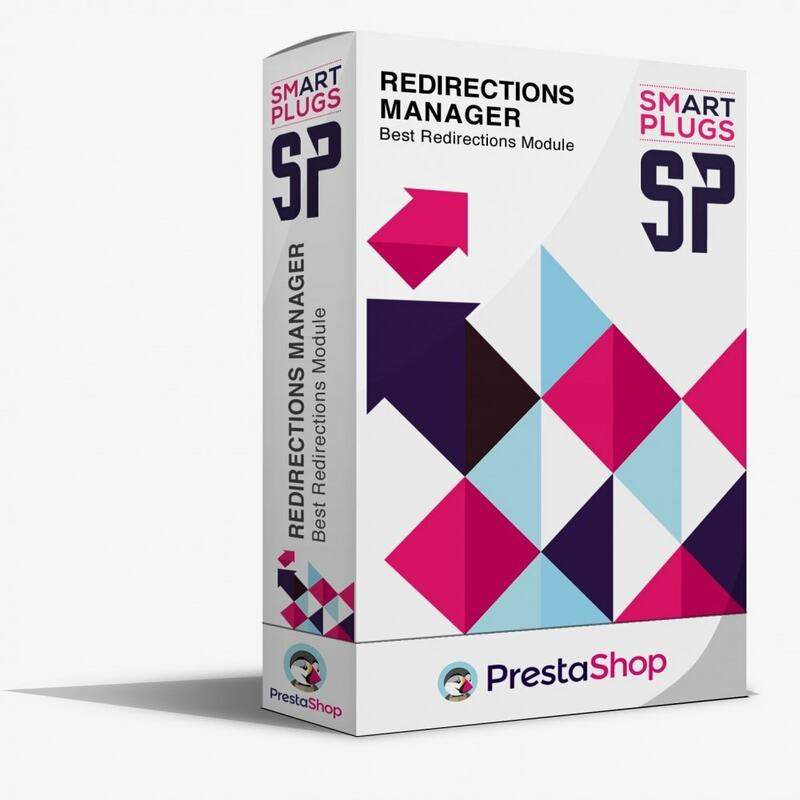 «Redirection manager» is an easy and complete solution for managing 301 / 302 redirects and 404 errors resulting from years of experience in SEO and e-commerce. Just indicate the URL you want to redirect and the destination one. Click then on the save button : the new redirect works ! The two URLs can be relative or absolute. Redirects can be 301 or 302 redirects, activated or deactivated. Others options are available and that you’ll discover ! 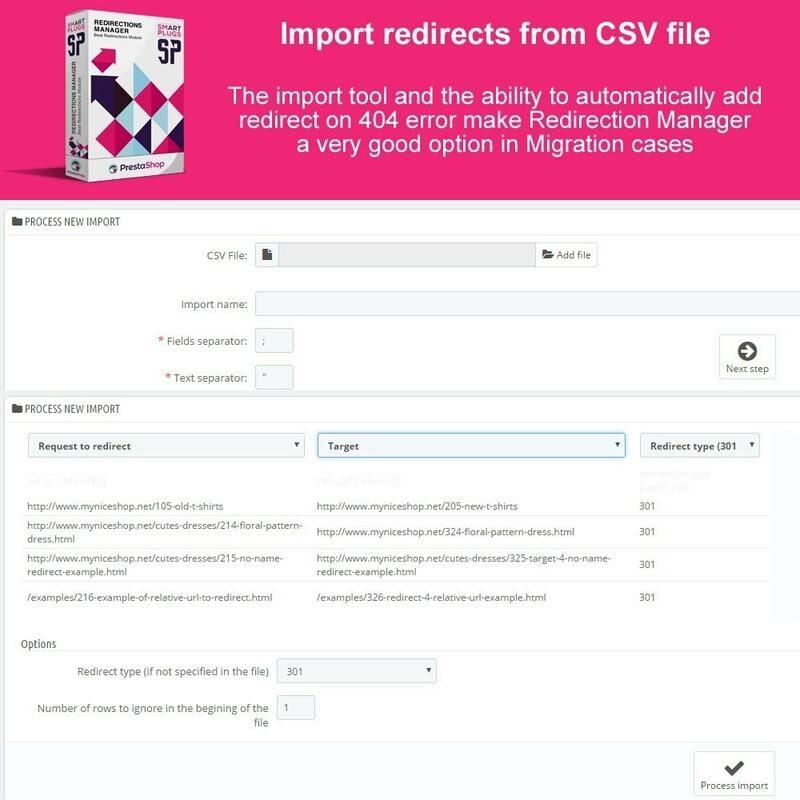 The import tool allows to import redirects from CSV files, that will be especially usefull for migration to prestashop cases. CSV files can be easily created with spreadsheet programs like excel. Imports (and redirects they contain) can be easily deleted if needed (in test cases for example). 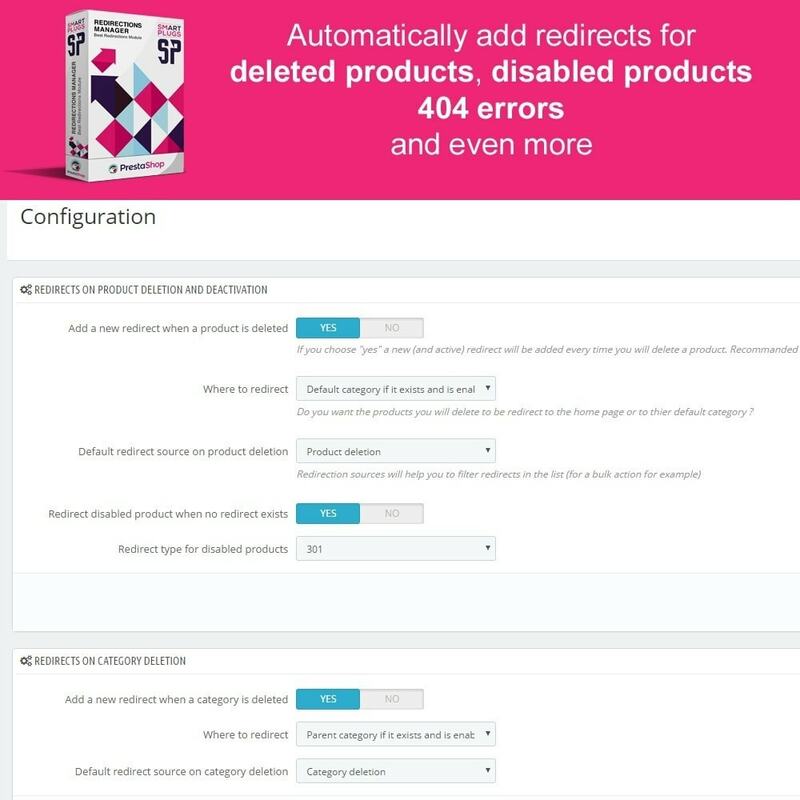 Redirections Manager module automatically redirects any disabled page such product, category, CMS page and category, manufacturer and supplier. 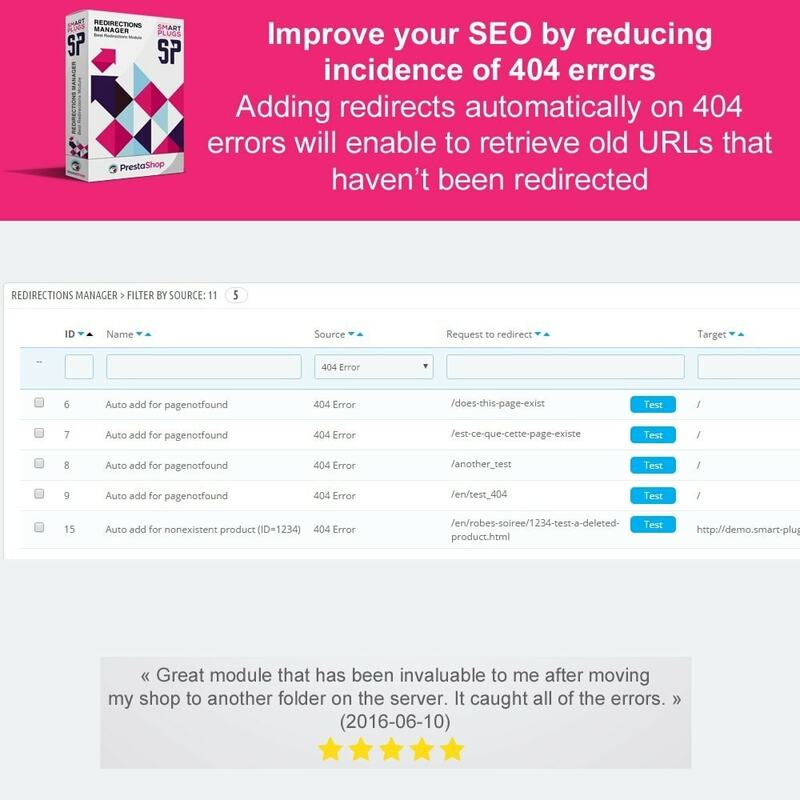 Redirections Manager module can be configured to automatically add redirect on URL that causes 404 error. This can be done for any 404 error or only if the URL matches the scheme of URL defined on your website. 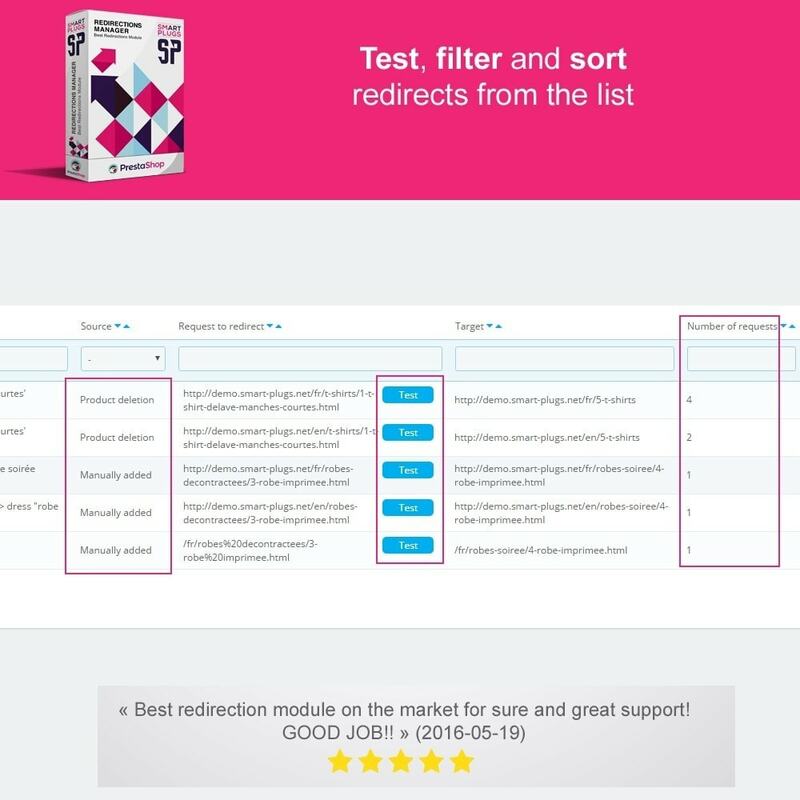 This way, as an example, the module is able to automatically add an active redirect for an old deleted product URL. Poprzez usunięcie automatycznie generowanych numerów ID/numerów z pasku adresu na stronach produktów, kategorii i innych, moduł zaawansowanych adresów URL PrestaShop sprawia, że adres Twojego sklepu jest przyjazny dla mechanizmów wyszukiwania. An online demo does exist, just try it ! This module does not override any native function of PrestaShop and so can't cause any conflict du to a function that would be already overriden by another module. 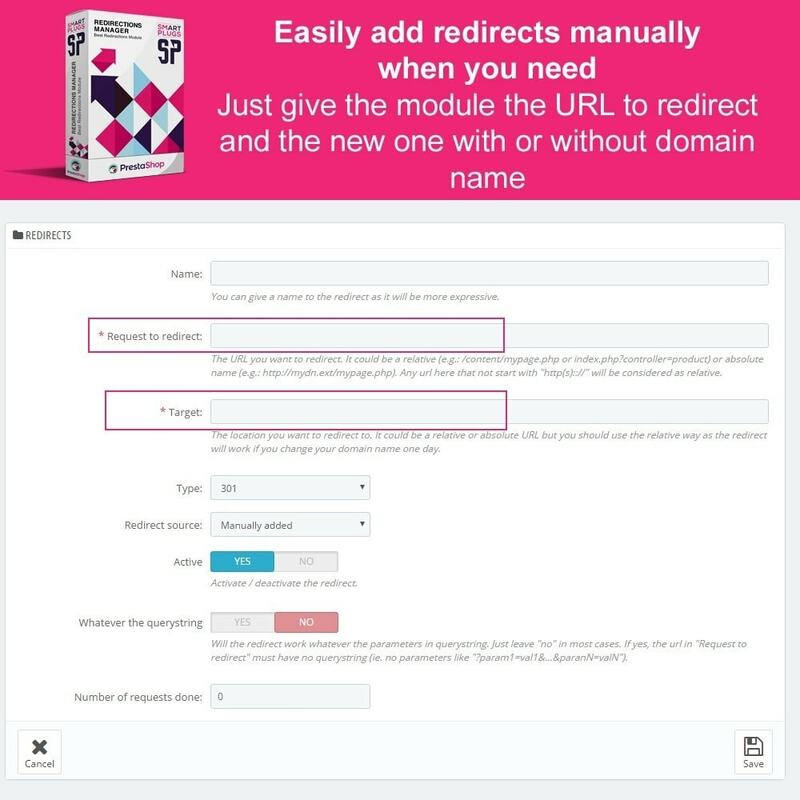 Since v1.1.6 this module is able to redirect disabled products, categories, CMS, manufacturers and suppliers when the modules that remove IDs from URLs «Pretty URLs» by FME or «Advanced URL» by vipcom are enable. Your customers won’t get a “page not found” message anymore due to some deleted content. As you will take care of your SEO, they also will find you easilier in search engine results. Twórca tego produktu wyselekcjonował opinie według stopnia zadowolenia wyrażonego przez klientów. Indicate for each product the period during which it has to be considered and displayed as «new» with a dedicated product tab. Sort the new products.